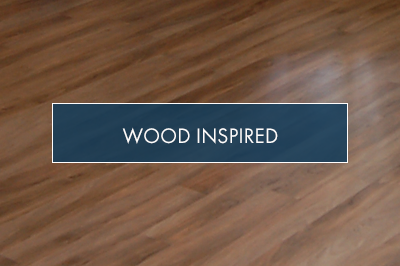 Click on the Images Below to Explore the Different Types of Flooring Remodels that we can complete for your RV. Beautiful floors make positive first impressions and are the single most impactful upgrade one can make to their coach. 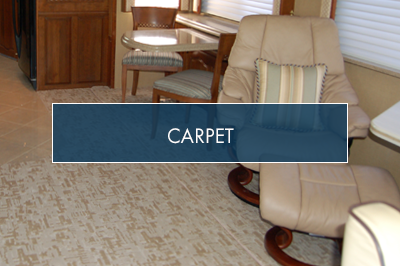 Replacing worn, hard to clean carpet and damaged, ugly flooring remains the most popular RV renovation item. A new floor will have you smiling again. It gives renewed life to your beloved coach, no matter what its class or size. 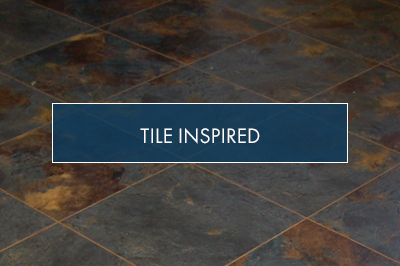 Today you have so many functional and stylish floor covering designs to select from. Classic Coach Works preferred flooring option is Luxury Vinyl based upon its durability, low maintenance, stain resistance, versatility, warmth, and of course, its color and style. 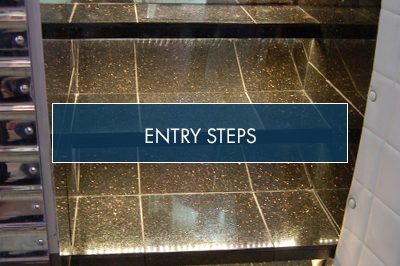 Get creative – mix and match materials and designs; go on the diagonal; add some borders. Have some fun and enjoy! At Classic Coach Works our talented designers are ready to help you sort through your flooring options to choose a floor material and design just right for your coach and your style. Our professional staff of installers have extensive experience in the coach industry – removing existing floor coverings, repairing damaged subfloors, laying new flooring materials around your RV’s tricky slideouts, and milling and matching solid wood trim.